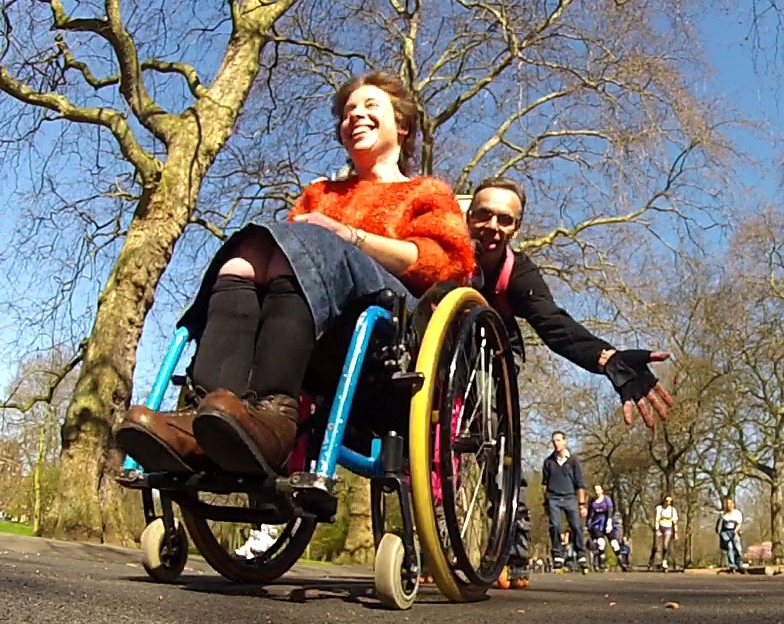 Wheels and Wheelchairs are a group of London-based skaters, rollerbladers and wheelchair users who go out together as a group on a regular basis. 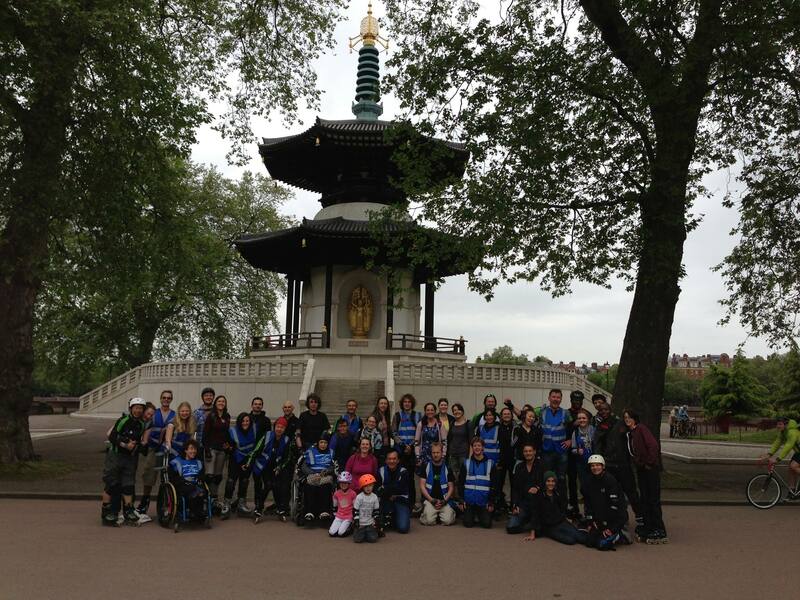 Their aim is to raise awareness of the difficulties that wheelchair users encounter on a daily basis, and they want to encourage wheelchair users to live more active lives, through their participation in outdoor sports. 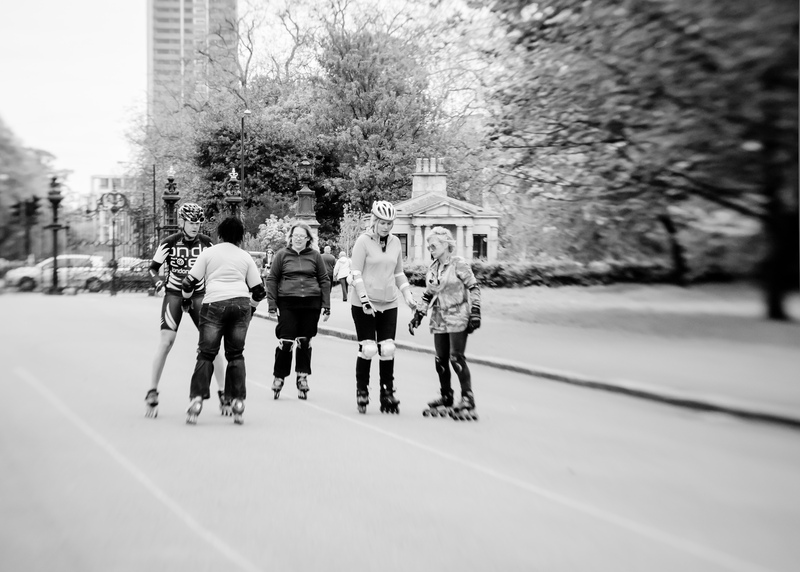 The wheelchair users are pushed by the skaters, and together they cover a distance of 5 – 12 miles. 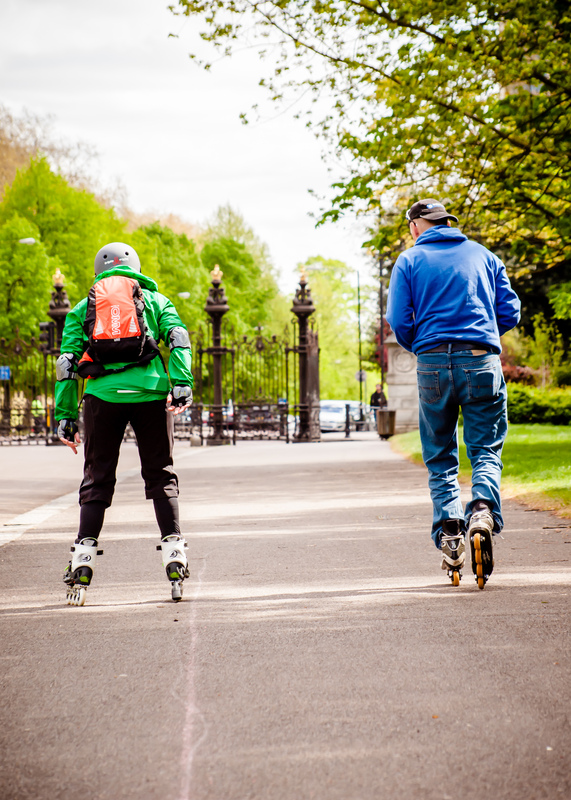 They meet twice a month, and their joint trips usually start in one of London’s main parks – either Battersea Park or Victoria Park; and on the last Sunday of the month, they usually go out on the Snail Stroll, which is organised by the London Friday Night Skate. Why learn to balance on skates? Balance on skates may seem obvious, but many people spend far too little time working on this essential and basic skill. It’s the key skill to nearly everything you do on skates. Think of speed – exceptional balance is the key to being able to set down effectively, to control your push and to limit energy wasting re-balancing. 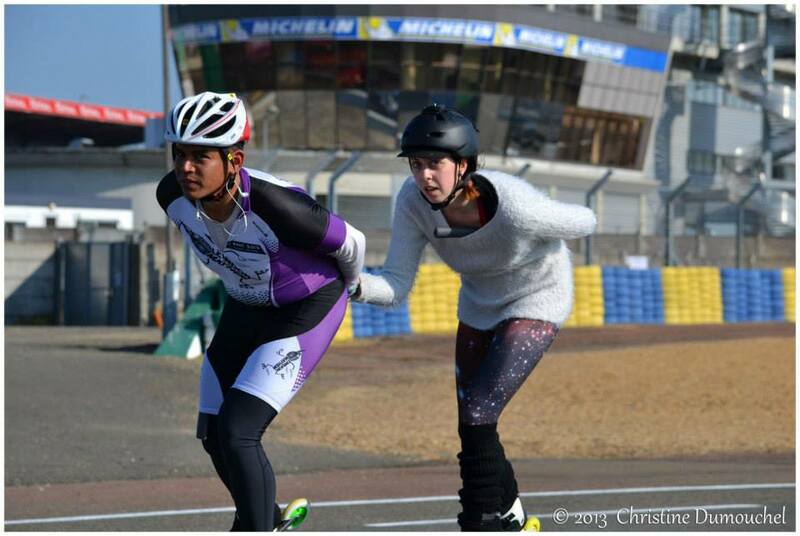 The key to skating fast is to only ever skate with one foot on the ground at a time, which isn’t limited to skating forwards, but also to the double push and crossovers. 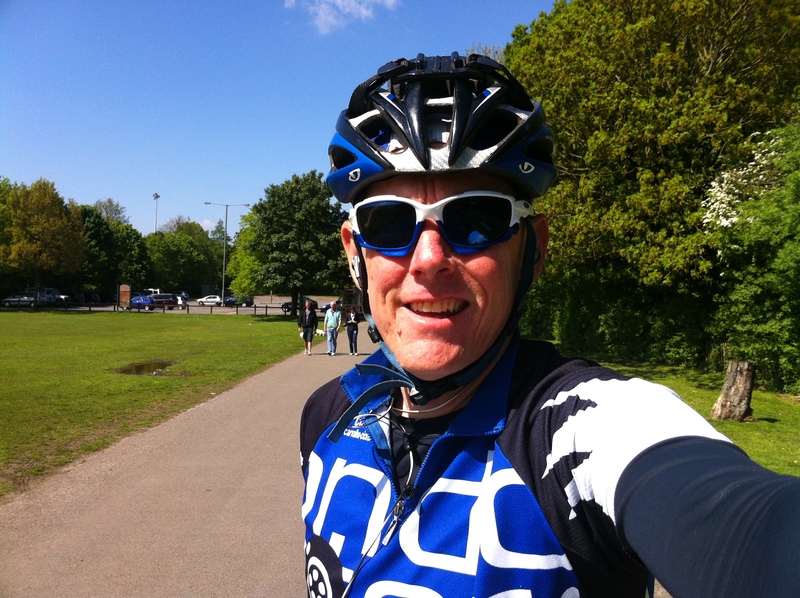 What about freestyle – so many moves rely on balance. This includes many where you have both skates touching the ground – these rely on precise and crisp weight transfer for best style. In summary, excellent balance is one skill that every good skater in every skating discipline will have developed to an exceptional degree.